Delta Prince enjoyed the finest hour of his career here at Woodbine this June, winning the Grade 2 King Edward over the Ricoh Woodbine Mile course and distance. 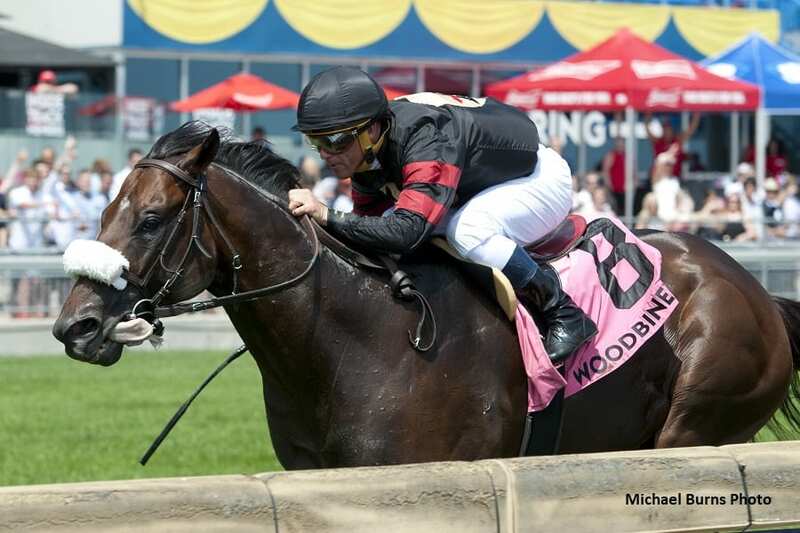 Now the up and coming five-year-old trained by James Jerkens will be looking for a new crowning achievement in the Grade 1, $800,000 Ricoh Woodbine Mile. Delta Prince has a kingly pedigree as a half-brother to Royal Delta, winner of two Breeders' Cup Distaffs and three straight Eclipse Awards for her division. His dam also produced Crown Queen, victorious in the Grade 1 Queen Elizabeth II Challenge Cup on Keeneland's turf course. So, it is no surprise that Delta Prince is not only talented but has developed into a top-notch turf performer after beginning his career with two decent efforts on the main track. But after displaying steady improvement through 2017, Delta Prince wound up on the sidelines. Unraced as a juvenile, Delta Prince joined the Jerkens barn at Palm Meadows as a three-year-old and began his career late that year, making his first two starts on the dirt in New York. Delta Prince continued his upswing on the grass but went to the sidelines in early September after finishing a good third in the Grade 2 Bernard Baruch over 1 1/16 miles of turf at Saratoga. That prescription appears to have paid off in spades as Delta Prince, making his first start in almost 10 months, returned victorious in the King Edward. In his lone start since then, Delta Prince wound up farther off the pace than planned and could not run down a loose-on-the lead Voodoo Song in Saratoga's Grade 1 Fourstardave over one mile of “good” turf. “I thought he ran very well,” said Jerkens. “The course was a lot softer than he likes and he broke real flat-footed or he wouldn't have been that far out of it. He had to make a big, long run and that's hard on soft turf. This entry was posted in Breeders' Cup, NL List and tagged crown queen, delta prince, e.p. taylor turf course, Fourstardave, james jerkens, jimmy jerkens, king edward stakes, Royal Delta, woodbine, Woodbine Mile by Woodbine Communications Office. Bookmark the permalink.